Synopsis: Fate. Hate. Love. Lies. Review: This book was freaking incredible!!! 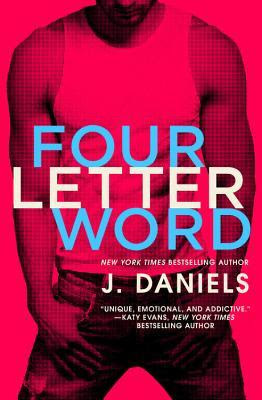 I loved every single book that J. Daniels has written and this one by far is my favourite. Im sitting here still reeling from all the feels this book has given me. Im seriously in the worst book hangover ever and I never want it to end. I just want to live in Dogwood Beach for life! I seriously cannot wait to read the rest of this series because I'm literally obsessed with every single character in this book. Tori and Syd's friendship reminded me of me and my best friend and I couldn't help but smile at their crazy antics. Jamie was a charmer and I hope that Tori will give him a chance because I feel like they are perfect for each other. I also think that Kali and Cole and Shay and Stitch should hook up so we shall see what happens in the upcoming books.Lets not forget about my favourite couple of all time. Wild and Trouble captivated me right from the start. I was devouring this book so quickly that I literally had to force myself to put it down just so I could make the book last. Needless to say the temptation got the best of me and I still ended up finishing this book in one sitting. Trouble has now officially become my number one book boyfriend. Every single one of you need to run out and grab a copy immediately. I can guarantee you that you won't regret it. There's a reason this book has hit #1 and thats because it perfection!